We came into this world without a name and then our parents gave us one. And, that name becomes our identity. Similarly, as we grow up, we earned a lot of other identifications like social security number, passport number and driving license. And, as we go online, we received a specific digital ID called IP address. But just as it is not smart to wear a nametag all the time, and post your social security number on the internet, it is a smart idea to hide you IP whenever you go online. Today, we will briefly explain why you need to hide your IP on the internet. Disclaimer: This is a real story shared by one of our readers. He asked us to keep his identity secret, so we are not revealing any name or location to fulfill our promise. The purpose of him telling the story is to educate internet users all around the world especially teenagers. Cyber world is like a jungle and if you are unprepared or unarmed then you are like a sitting duck waiting to be preyed on. It was not a very long ago when I was unfamiliar with the evil side of the CYBER WORLD. Sometimes incidents happen for a reason to teach you lifelong lessons. What is more important to you; personal identity, family or respect? Well, I put all of it at risk with just one simple mistake. Almost, three years ago when Game of Thrones was at its peak and everyone, everywhere was talking about it, I got excited to see what the fuzz is all about. I checked out a couple of trailers on YouTube, and it captured my mind at that moment. I was a senior-sophomore at that time and enjoying my summer vacation. What else could be a better idea to spend your warm days inside your cozy bedroom? I downloaded season 1 from the Kickass torrent, watched it, made a copy and saved it in a DVD for one of my friends. I did the same for another next week, and by the weekend I was done watching two entire seasons of the Game of Thrones. It is imperative here to mention that I live in a country where P2P is considered as Piracy, and it is illegal that can result in 10 years in prison. Downloading torrents for two weeks must have raised suspicion to higher authorities. And, that was the end of my happily-ever-after-story and the beginning of now-in-the-hell-story. He is my son, who are you and how can we help you? We are from the higher authorities, and your son has committed a crime and broke the infringement law. We need to arrest him for questioning. We have been monitoring your online activities from last two weeks, and you have been downloading pirated content from the internet. Do you know it’s a crime and a felony? No, I am just 16. How do I suppose to know all that? Well, the worst has yet to be revealed. I was belled out for $20,000. My father was pissed, and my mum was crying all the way back home. All I remembered, I lost my identity, my family trust and a lot of my father’s saving that day due to a silly, yet horrible mistake. In those moments I realize, if you have to survive on the internet, you need to keep yourself invisible from prying eyes, may it be authorities, hackers, spammers, bullies, etc. Since then I have been using a VPN to hide my IP address. Simply put, an IP address is like your home address which helps communication happen between two devices. Your IP address has a lot of information about you including, type of your device, your physical location, etc. IP addresses are random addresses; these are mathematically generated and allocated by the Internet Assigned Numbers Authority (IANA), and the division of these numbers is conducted by the Internet Corporation for Assigned Names and Numbers (ICANN). The same department is responsible for sorting out domains names and other critical internet factors. IANA doesn’t provide you with an IP address directly. Instead, they allocate blocks of numbers to a particular region, for example, the United States alone has 1,541,605,760 IP addresses, which is 36% of all the IP addresses available. 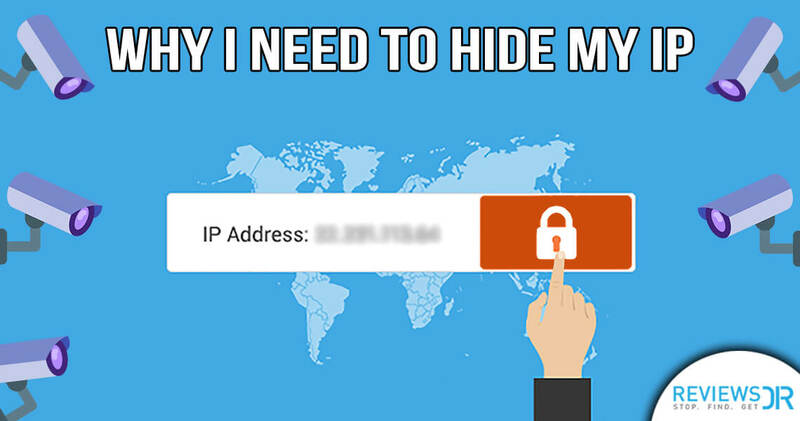 Why hide my IP address? I have nothing to hide. If you are among those morons, then you should think twice. Every time you do something online, which is pretty much all the time, governments, advertisers, criminals, can or may be, looking over your shoulders. Let say, you don’t fall victim of phishing scams or other forms of cybercrime, but it doesn’t mean you never will. And, how about the fact that there’s always the NSA and other mass-surveillance programs monitoring and keeping a record of your online activities and personal data? 1. You Don’t Want Everyone To Listen To Your Conversation! It’s frightening if you think about it, as our online security is vulnerable. We are often exposed to snooping eyes and prying ears without knowing it. Our privacy is severely endangered, and identity theft is an increasing problem worldwide. We are getting more and more dependent on the internet, and as a result, we share more and more information about us online. It’s important now, more than ever, to prevent ourselves from being fooled online by a scam or blackmailing. It is essential, more than it ever was, to hide your IP address and keep the lurkers away. Do you like strangers to look at your private pictures, read your love letters and know about your sexual health issues? Well, your carelessness on the internet can make it happen. 2. You Want To Watch Movies On Netflix, Hulu, BBC iPlayer And More! Beyond privacy, hiding your IP address can be a simple way to access online content which is not available in your region. Hiding your IP address makes it possible for you to watch blocked content, for example, Netflix USA can be accessible in Australia, Hulu can be accessed by Nigerians, BBC iPlayer can be watched in UAE, and Fox Sports can be accessed by Malaysians. There are a lot more than you can do by spoofing your IP like listening to music on Pandora, finding a date for your next trip to Europe, book cheap hotel rooms, save money on airfares, order books, download app from other region app stores and much more. Are you among those who like More…….. If so, then learn how to hide your IP and get more and more on the internet. 3. You Are A Journalist Or Activist, And You Want To Write Anonymously! Journalists and activists are more eager to hide their IP addresses especially when they are covering a sensitive story or sharing confidential information about government and political parties. Of course, we are not encouraging anyone to break laws, but we want to educate people about how to keep themselves safe, should the need arise. More than anything, we believe everyone has a right to express their opinions and thoughts freely. Hiding your IP may help you achieve the purpose of being anonymous and speak your mind out loud. 4. You Are A Student Or Employee, And Your Internet Is Restricted! Schools, Colleges, Universities, and Offices block websites that they think are inappropriate or unnecessary. Depending on the institutions, breaking the boundaries and accessing the blocked content can pertain to criminal matters. Sometimes you are not even allowed to check your Gmail or any social media website within the institutions. Hiding your IP can help you overcome these restrictions. The additional benefit of hiding your IP is that your browsing is wholly scrambled and the administrator can’t see that you have been surfing the web. Nor collect or record your web activities. You must have been living under the rock if by now you think that the WiFi at your library, airport, coffee shop or subway station is safe. As in reality, public WiFi hotspots are the haven for snoopers, lurkers, and hackers. You can be easily trapped, and all your online data can be easily compromised if you are using a Public WiFi without any online security tool. It is essential to dive into the sea with an oxygen cylinder; similarly, it is necessary to hide your IP while using the internet on Public WiFi. There are many ways by which you can hide your IP address such as using a Proxy, VPN or Tor. 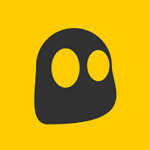 The best security tool that provides you complete anonymity and security is VPN. VPN not only help you hide your IP address but it also gives you encryption up to 2048bit. A Virtual Private Network (VPN) works as a private network between your device and the destination website. VPN servers deployed at various locations provide you with a wide range of IP addresses from different regions to hide behind. Once you are connected to a VPN, you can connect with any region’s IP like USA VPN, UK VPN, Germany VPN, etc. To better help you understand, we have illustrated the workflow of a VPN. Here’re the simple steps with which you can spoof your IP with one of the VPN’s IP. Follow the steps to make your IP address anonymous. Step # 1: Subscribe to a VPN which is secure and fast at the same time. We highly recommend ExpressVPN. Step # 2: Now, before connecting to the internet, go to ‘what is my IP’ website and check your original IP. Note down your real IP somewhere safe. Step # 3: Next, go to the VPN provider website and download the VPN app or configure the VPN manually. Step # 5: Once you are connected, go to the www.whatismyip.com website again and check the new IP. Step # 6: Compare your real IP with the one you have been assigned by the VPN provider. Step # 7: If both the IPs are different it means you are now anonymous and your real IP is hidden behind the VPN provider’s IP. There are many providers available in the market, and it is confusing which one to choose. We highly recommend ExpressVPN as it is one of the best VPN providers in the industry. It offers third largest VPN network with over 100,000+ IPs from across six continents. ExpressVPN is simple and highly optimized service with incredible VPN apps. You can watch Netflix USA from any region and access Hulu and other streaming channels with the fastest speed. Unfortunately, many VPN providers are failed to offer Netflix support as VPNs are being blocked by Netflix. ExpressVPN is among the fewest which are still working fine for Netflix.